This Urban Surfer bracelet has been created in warm rustic hues. 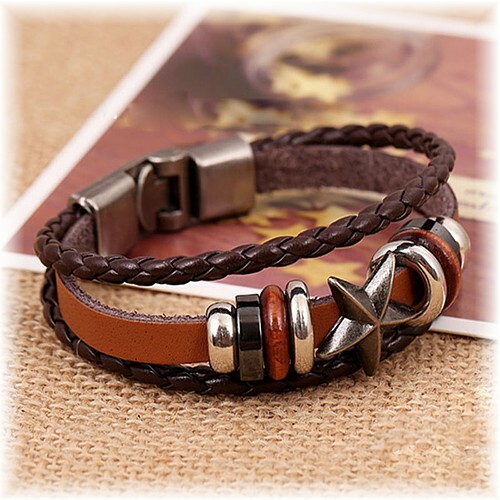 The central tan cowhide band features a five-pointed star as the focal point and this is bordered at either side by silver and wooden rings. Two luxe-brown PU leather bands complete the three-row formation, which measures around 2.3cm. The wristband has a chunky closure, which is not adjustable. This measure around 20cm (8").